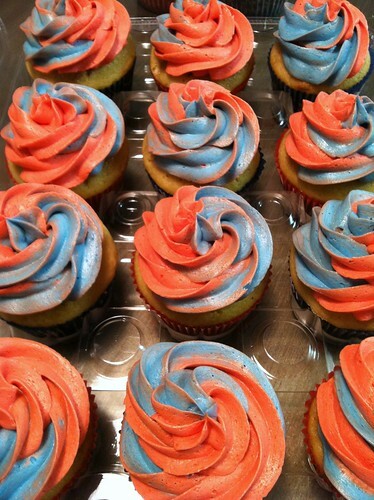 Independence Day Cupcakes, originally uploaded by BootleggerCupcakes. Blue and Red frosted White Russian cupcakes. I want the recipe. Is there vodka in the frosting? !